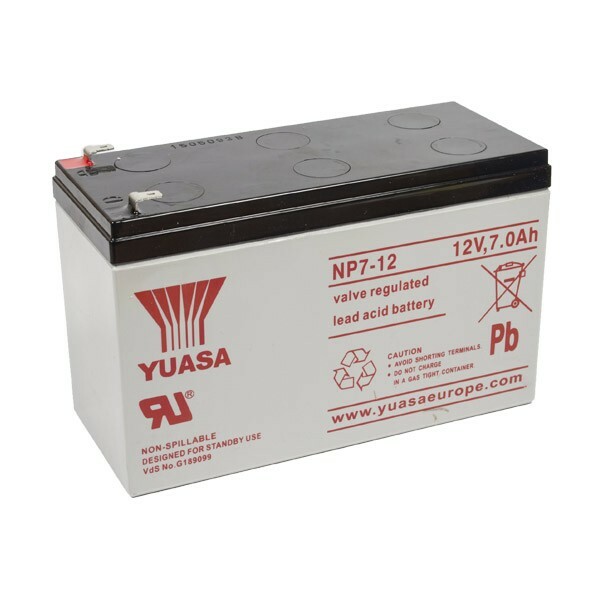 Yuasa NP7-12 VRLA Battery 12V 7Ah is commonly used as a backup power supply in security and fire alarms. These batteries are supplied fully charged from the factory and can be used in any orientation except inverted. Capacity at 20-hour rate (Ah) is 7 with a nominal voltage of 12.